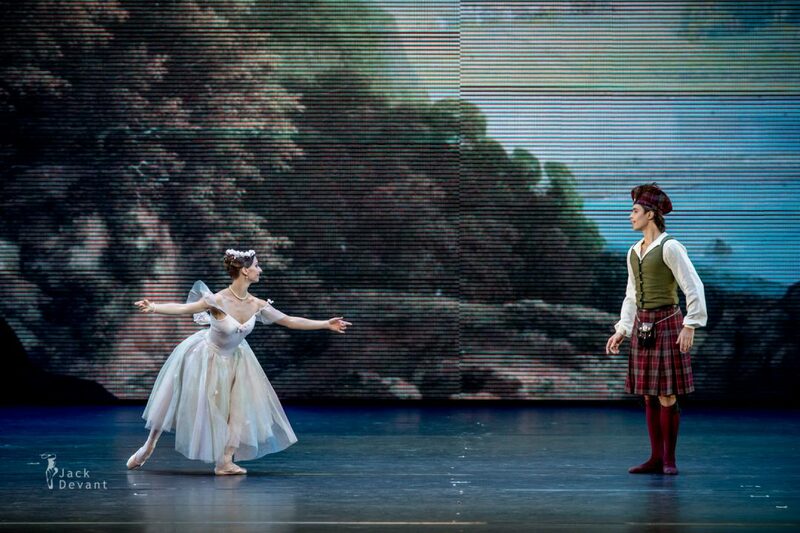 Anna Tikhomirova (rus Анна Тихомирова) and Artem Ovcharenko (rus Артем Овчаренко) in La Sylphide, pdd. Music by Herman Severin Løvenskiold, choreography by August Bournonville. 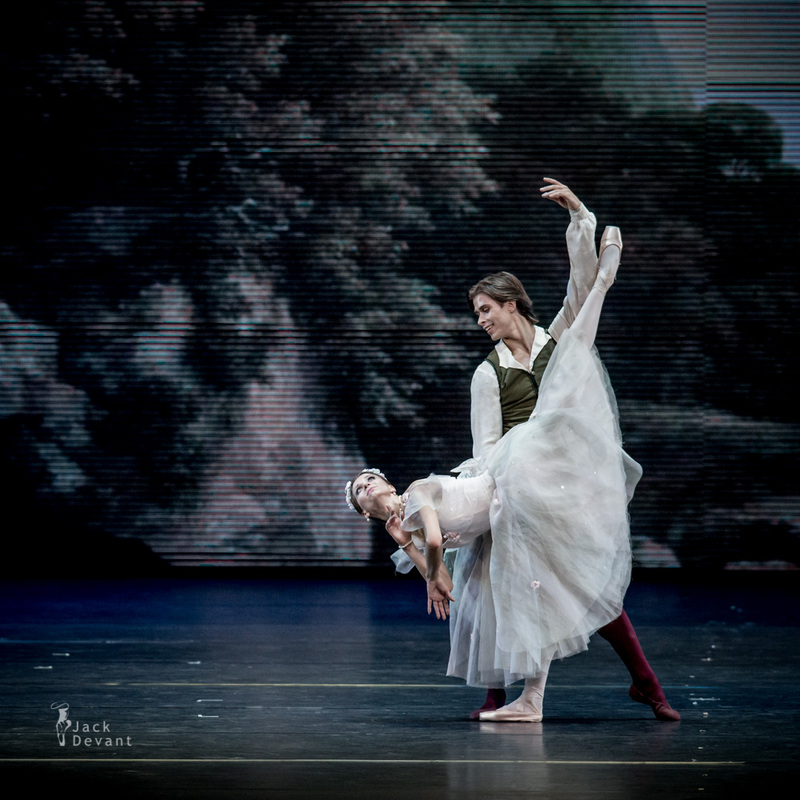 Shot on 2014.09.27, State Kremlin Palace, Kremlin Gala: The Ballet Stars of 21.th Century. Anna Tikhomirova (rus Анна Тихомирова) is first soloist with Bolshoi Ballet. She was born in Moscow. In 2005 she graduated from the Moscow State Choreographic Academy (class of Natalya Arkhipova) and joined the Ballet Company of the Bolshoi Theater. She rehearsed under the guidance of Marina Kondratieva. Now her teacher-repetiteur is Nadezhda Gracheva. One Response to "Anna Tikhomirova and Artem Ovcharenko in La Sylphide pdd"
Anna shows the best grand jeté in the Bolshoi!!! Thank you for sharing your wonderful photos! Wish Russian media publish something like that.